When the terrible word “repair” hangs over the house, it is necessary to solve simultaneously many complex questions. And an important one is a matter of economy. Is expensive paint much better than budget analogues? 1. Why is there such a wide spread in the prices of paint in the store? There are several reasons. The first is the actual difference in the main quality characteristics, when the more expensive paint is more wear-resistant, better conceal, more comfortable to apply, does not form streaks, etc. The second possible reason is the availability of special functions that the coating has after painting with a more expensive product. This can be antibacterial properties, improved cleanability, greater durability, heat reflection, etc. And, finally, as for many other categories, the colors of more well-known brands tend to be more expensive than little-known products with similar declared characteristics. However, one should not treat this fact a priori negatively! After all, famous brands invest resources in new solutions, services, provide extended guarantees, and all this in turn has a fair reflection in the price of the product. It is important to note that products with the logo “Approved by ACC” always strictly comply with the declared characteristics and its price level, so a more expensive paint with the Association logo will have a clear difference from cheap products. 2. The better the paint, which is more expensive? 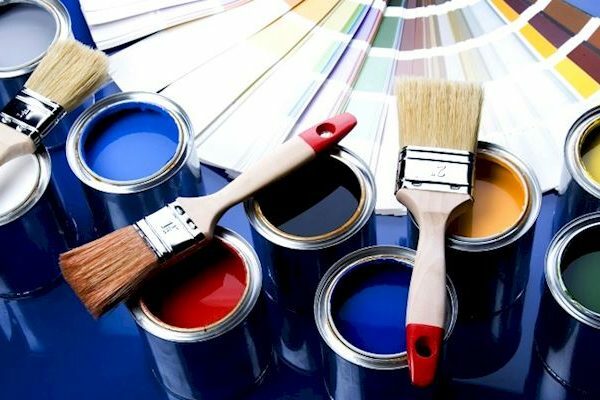 Conscientious manufacturers of paint and varnish for the production of expensive products use more high-quality, environmentally friendly and safe innovative ingredients, in comparison with their aging, analogues, used for the production of economical paints. It is interesting to note that often more expensive and more opaque paint is ultimately more economical. After making simple calculations, one can conclude that using good paint can easily save on the amount of material required and the cost of painting works (for example, 2 layers rather than 4). Also a coating based on more expensive material from a reliable manufacturer (ACC member) will last longer. This means that the consumer will not need to repaint the surface after a couple of years of operation, as it can happen in case of using materials of the “economy” class. No wonder they say, “miser pays twice”! 3. What certificates should I ask the sellers to make sure of the quality of the expensive paint? To date, certification for compliance with GOST-R for paintwork materials is not mandatory, but many manufacturers undergo a complex procedure of voluntary certification and receive a Certificate of Conformity for their products in order to demonstrate openness and gain consumer confidence. Such certificates are often mandatory for presence on the shelves of a store, but have a low real consumer value. Unfortunately, the reality is that unscrupulous manufacturers and certifying companies can simply fabricate such a certificate without actually conducting the necessary tests. Another document that the buyer is entitled to ask is a copy of the State Registration Certificate for the product. This is a document confirming compliance with the sanitary and epidemiological and hygienic requirements of the Customs Union. In addition, copies of the Safety Sheet (MSDS), the Fire Certificate and an independent conclusion on durability materials for outdoor works). The presence of a large number of certificates and independent conclusions may indicate the manufacturer’s intentions to transparently prove the value and benefits of the products, but in the current reality it is not a guarantee for the consumer, because compliance with all norms and standards in the paint and varnish industry is little controlled by state supervisory authorities. In such a situation, self-regulation in the industry is very important, when conscientious producers unite in the Association and openly declare their commitment to strictly follow certain modern standards of safety and quality of products. This is why the buyer purchasing a paint can with the logo “Approved by the Association of the Quality of Paint” may be I am absolutely sure that this is a safe product that fully meets the declared characteristics – be it expensive or even cheap paint.